Canada Waterproofers Brock is your one-stop resource if you are looking to replace any concrete in your home – basement floor, garage floor, walkways, steps, slabs – or maybe you are just in need of overall repairs. Homeowners often neglect their concrete basement floor, when looking at options to waterproof. That’s understandable – budgeting when it comes to any home renovation is an issue that we all have to deal with. Many of us want to concentrate on allocating our resources towards what we see as the priorities. You can create an entirely new living space in the basement, and by doing that add real value to your home. When installing a new concrete floor (where the technicians only use the correct strength and formula for your project), you can install rough-ins for a future bathroom or kitchen, or install them right away. It’s an opportunity to set up a separate apartment, perhaps for rental income purposes. The professionals at Canada Waterproofers Brock can also add more insulation while installing the new concrete floor, saving you money when it comes to heating bills. The new floor can also help secure the foundation walls by supporting the bottom the existing footings. Another recommendation – replace all the sewer lines during the installation process with the new floor. And of course – a new concrete floor is a great time to install waterproofing, as well as technology like sumps pumps, ensuring your basement stays bone dry for years to come. And one more thing to ask our technician during your assessment – by doing a new concrete floor in the basement, you might be able to add ceiling height. That will add more value to the home. And we will do the job safely (do not excavate lower than the existing footing level as that can cause severe damage to your foundations, or even lead to a catastrophic collapse).  At Canada Waterproofers Brock, we understand the importance of safety, and we follow very strict rules and regulations to make sure that your home is safe and secure. Canada Waterproofers Brock is the No. 1 company in the region when it comes to concrete floors installation, exterior waterproofing, interior waterproofing, drain repair, or any drain cleaning or plumbing services that you may have. If you are living in the area then call Canada Waterproofers Brock for a free no-obligation assessment and quote.